Live To Ride. Ride To Live. Ride Sober. his tricolor enamel medallion features a skull on the front in white with a black background and gold lettering. 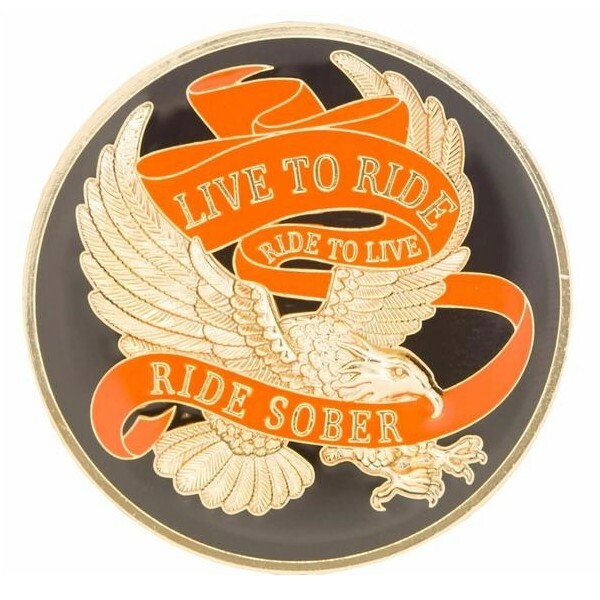 This tricolor enamel medallion features an eagle on the front in gold, with orange ribbons, with a black background and gold lettering. On the back it has the Serenity Prayer written out in gold script.